Optimization of earthquake-affected structures is one of the most widely used methods in structural engineering. In this paper optimum design of structures is achieved by simulated annealing method. The evolutionary algorithm is employed for optimum design of structures. To reduce the computational work, a discrete wavelet transform is used by means of which the number of points in the earthquake record is decreased. The loads are considered as earthquake loads. A time history analysis is carried out for the dynamic analysis. By discrete wavelet transform (DWT) the earthquake record is decomposed into a number of points. Then in the optimization process, the structures are analyzed for these points. To reconstruct the actual responses from these points, a reverse wavelet transform (RWT) was used. A number of space structures are designed for minimum weight and the results are compared with exact dynamic analysis. The result show, DWT and RWT were an effective approach for reducing the computational cost of optimization. Khademi F, Akbari M, Jamal SM. Prediction of compressive strength of concrete by data-driven models. i-manager's Journal on Civil Engineering 2015; 5(2):16. 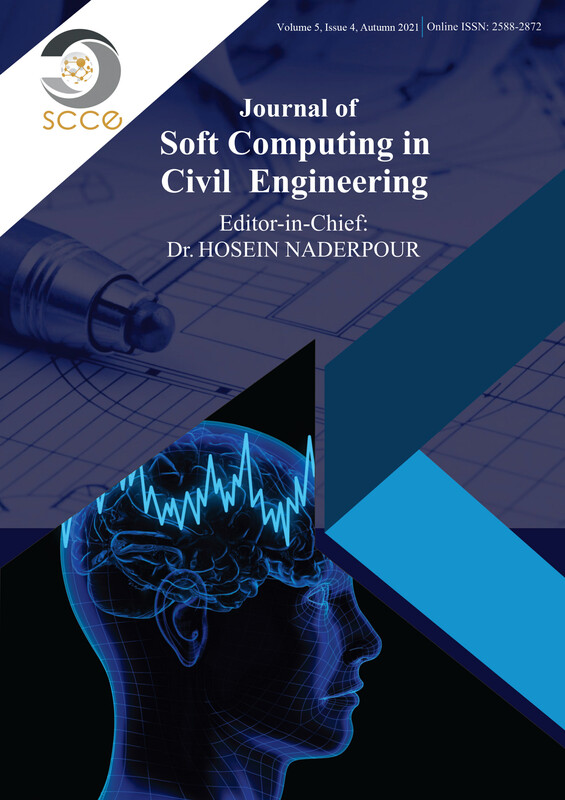 Behfarnia K, Khademi F. A comprehensive study on the concrete compressive strength estimation using artificial neural network and adaptive neuro-fuzzy inference system. Iran University of Science & Technology 2017; 7(1):71-80. Salajegheh E, Salajegheh J. Heidari A. Continuous-discrete optimization of structures using second-order approximation. International Journal of Engineering 2004; 17:227-42. Salajegheh E, Heidari A. Optimum design of structures against earthquake by adaptive genetic algorithm using wavelet networks. Structural and Multidisciplinary Optimization 2004; 28:277-85. Salajegheh E, Heidari A. Optimum design of structures against earthquake by wavelet neural network and filter banks. Earthquake Engineering & Structural Dynamics 2005; 34:67-82. Salajegheh E, Heidari A, Saryazdi S. Optimum design of structures against earthquake by discrete wavelet transform. International Journal for Numerical Methods in Engineering 2005; 62:2178-92. Heidari A. Optimum Design of Structures for Earthquake Induced Loading by Genetic Algorithm Using Wavelet Transform. Advances in Applied Mathematics & Mechanics 2010; 2:107-17. Kirkpatrick S, Gelatt CD, Vecchi MP. Optimization by simulated annealing. science. 1983; 220:671-80. Cheng F.Y. D. Li J.Ger, Multiobjective optimization of dynamic structures, ASCE Structures 2000 Conference Proceedings, 2000. Gholizadeh S, Salajegheh E. Optimal design of structures subjected to time history loading by swarm intelligence and an advanced metamodel. Computer Methods in Applied Mechanics and Engineering 2009; 198:2936-49. Kaveh A, Talatahari S. A novel heuristic optimization method: charged system search. Acta Mechanica. 2010; 213:267-89. Kaveh A, Talatahari S. Optimal design of skeletal structures via the charged system search algorithm. Structural and Multidisciplinary Optimization. 2010; 41:893-911. Kaveh A, Talatahari S. A charged system search with a fly to boundary method for discrete optimum design of truss structures. Asian Journal of Civil Engineering 2010; 11:277–93. Heidari A, Salajegheh, E. Approximate dynamic analysis of structures for earthquake loading using FWT, International Journal of Engineering (IJE) 2007; 20:1-11. Heidari A, Salajegheh E. Wavelet analysis for processing of earthquake records. Asian Journal of Civil Engineering. 2008; 9:513-24. Heidari A, Raeisi J, Kamgar R. Application of wavelet theory in determining of strong ground motion parameters. International Journal of Optimization in Civil Engineering. 2018; 8:103-15. Naderpour H, Fakharian PA. Synthesis of peak picking method and wavelet packet transform for structural modal identification. KSCE Journal of Civil Engineering 2016; 20:2859–67. Roderick JBTM. Wavelets for signal and image processing. Lecture notes, Department of Computing Science, Rijksuniversiteit Groningen, NL, 1993. Bennage WA, Dhingra AK. Single and multiobjective structural optimization in discrete‐continuous variables using simulated annealing. International Journal for Numerical Methods in Engineering. 1995; 38:2753-73. Hasançebi O, Erbatur F. Layout optimization of trusses using simulated annealing. Advances in Engineering Software. 2002; 33:681-96. Chen GS, Bruno RJ, Salama M. Optimal placement of active/passive members in truss structures using simulated annealing. AIAA journal. 1991; 29:1327-34. Paz M. Structural dynamics:theory and computation, McGraw Hill, New York, 1997. Daubechies I. Ten lectures on wavelets. CBMS-NSF Conference Series in Applied Mathematics, 1992. Farge M. Wavelet transforms and their application to turbulence, Annual Reviews Fluid Mechanics 1992; 24:395-457.